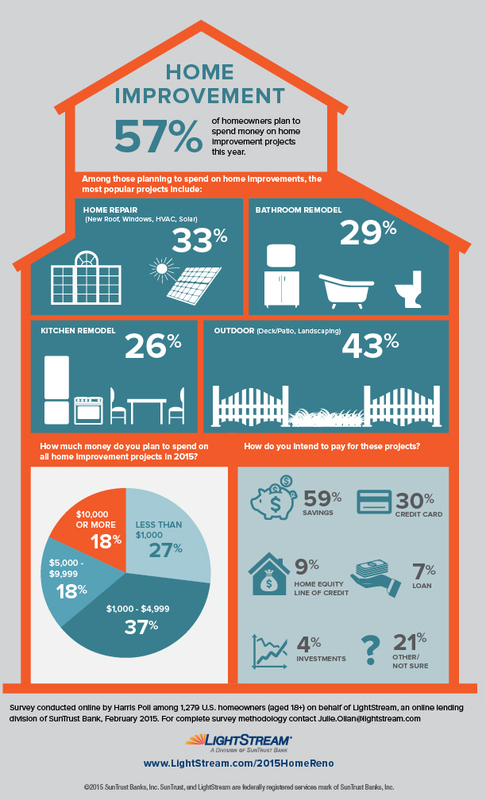 I came across a very interesting graphic which shows a Harris poll on how homeowners plan to spend their money on home improvement projects this year. About 26% of you want to remodel the kitchen (I want to repaint my cabinets! ), 29% of you all want to tackle a bathroom remodel, (been there, done with that one! ), 33% need a new roof or new windows (my windows need replacing too), and 43% of you want to add a new deck, patio or landscaping. This graphic started me thinking about all the home improvement projects we have tackled over the years and the ones we still desire to achieve! Hubs and I have done some pretty large scale home improvement projects since we bought our 1st house back in 1997 and a gazillion small ones. Let’s take a look at a few of those projects. 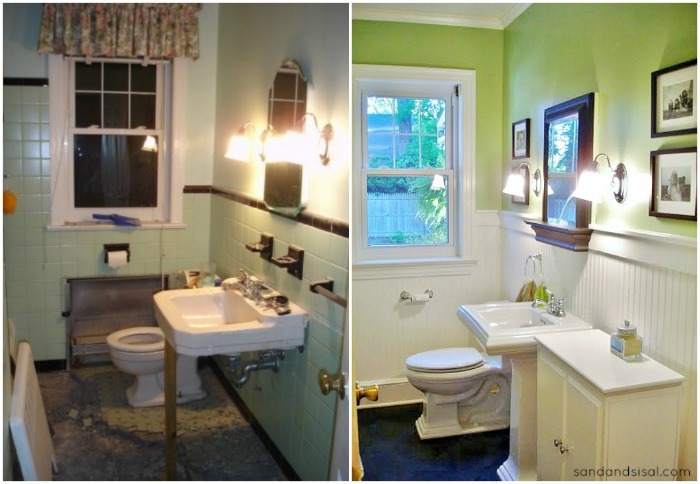 I think the hardest and most expensive home improvement project we did was our 1949 Cape Cod Bathroom Renovation. We worked with a contractor and to cut a deal, we agreed to do all the demo ourselves and help out in the finish work like painting, etc. We ended up completely gutting the bathroom down to the studs. We are aware that once you start a renovation project there are often hidden problems that you were totally unaware of. In our case it was severe termite damage of the floors joists and walls. Installing Hardwood Floors ended up being an easier project then I thought it would be. And I will tell you, I put it off for ages because the thought of doing it ourselves and the expense of the flooring terrified me! 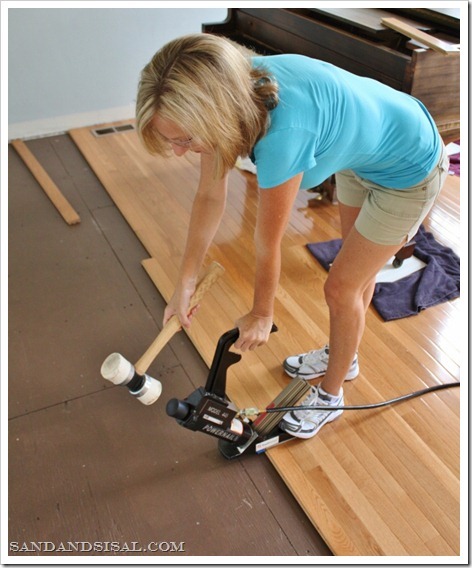 This summer we plan on removing all the nasty carpet in our family room and installing more hardwood flooring. Yay! 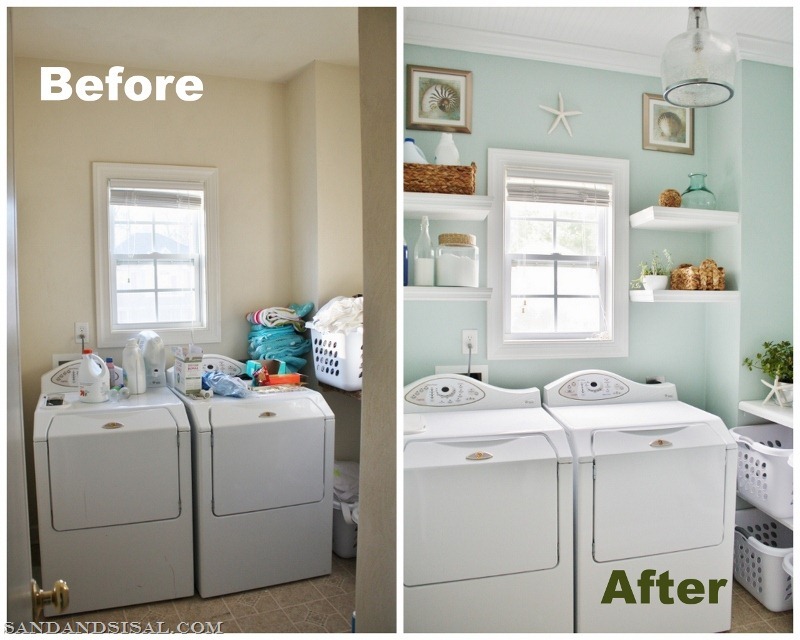 Then of course we gave the laundry room a makeover with bead board ceilings, floating shelves, a folding station and new lighting. You can check out all the different indoor renovations we have done in the DIY Project Gallery tab. 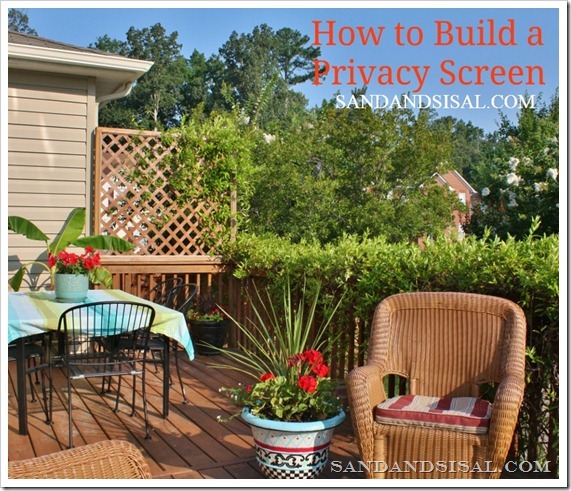 we doubled the size of our deck.…. 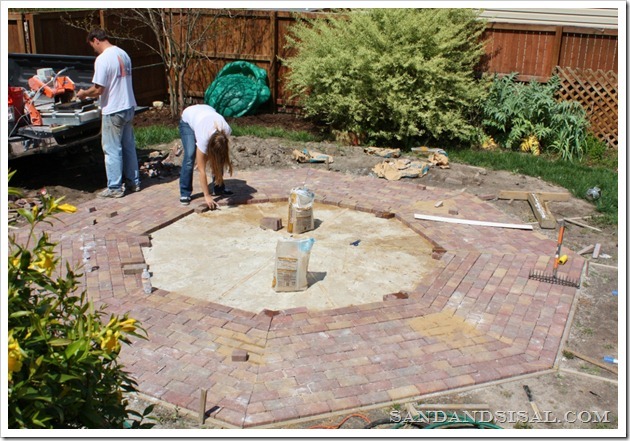 and laid a brick patio! I can’t believe I’ve yet to show the final results of that! I will soon! Whew! Are you as exhausted as I am yet? 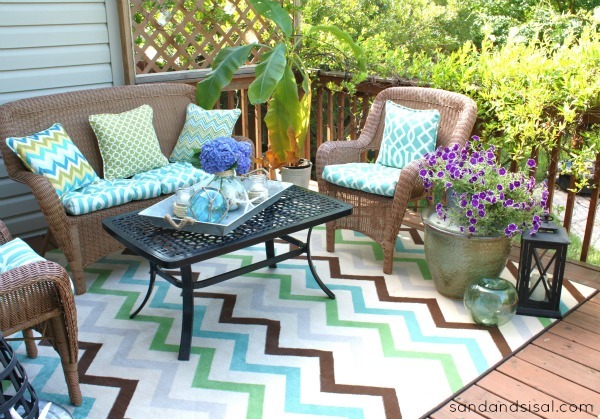 What’s on the Home Improvement Horizon for 2015? we hope to paint the kitchen cabinets or hire someone to paint them. Both of those projects will be labor intensive and pricey, especially if we end up hiring them out. 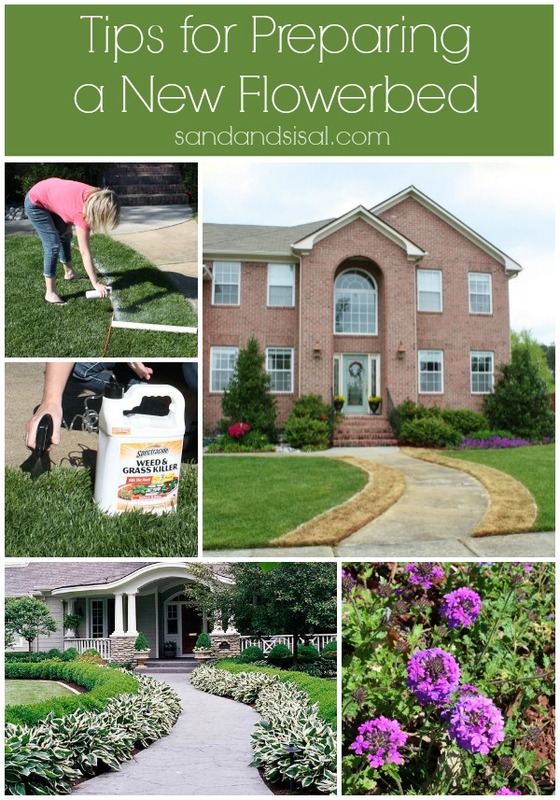 So what do you do when you love your home and you want to improve upon it, but you aren’t sure you have the savings to pay for it all straight out? There’s an option that I want to share with you. My bank has been SunTrust for the past 30 years. 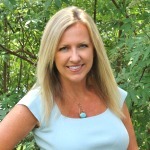 They are offering a new online lending division called LightStream. For those of you with good credit (like me, yay!) LightStream provides fixed, competitive low rate loans up to $100K that have NO fees, and they ask zero collateral from you! Application is online and funds are deposited directly into the borrower’s bank account, often as soon as the same day of application. From March through May 2015, LightStream is offering a special home improvement loan, with rates as low as 3.99% APR with AutoPay for customers with good to excellent credit. Click HERE for all the details. A home improvement loan can be used to hire a designer and contractor you choose to use to remodel your kitchen, as well as to purchase the new kitchen table set and chandelier you’ll enjoy in your new space. Of course you don’t have to use the loan for exclusively home improvement projects. So feel free to check out LightStream if you want. They have a huge customer satisfaction rating! 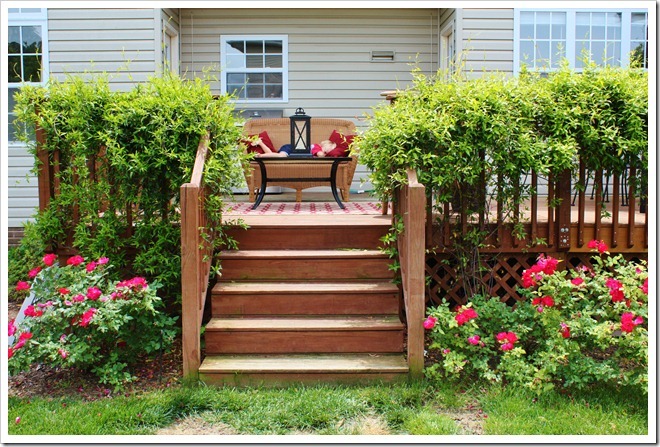 I’m off to powerwash the deck and get it ready for spring and summer entertaining! Visit http://www.LightStream.com/2015HomeReno for additional details, rates, terms and disclosures. This is a sponsored conversation written by me on behalf of LightStream, a division of SunTrust Bank. Opinions and text are all mine.